Yarn | Next Line Quiz for "BoJack Horseman "
What line is next for "BoJack Horseman "? 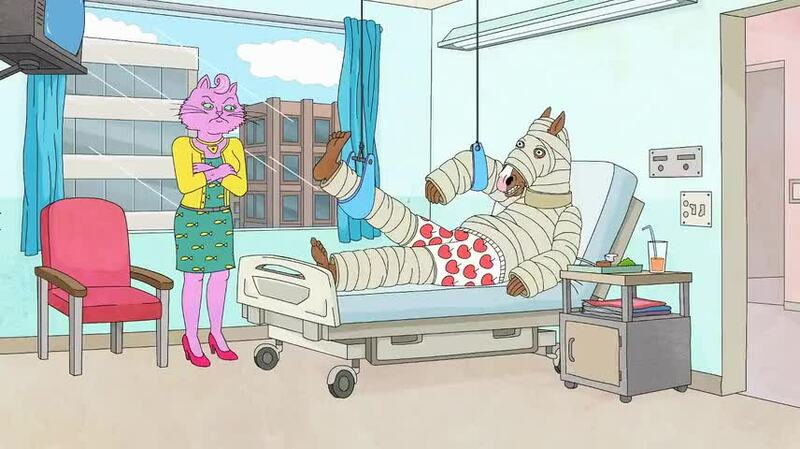 Quiz: What line is next for "BoJack Horseman "? Watch a short clip and then guess the next line. Yarn is the best way to find video clips by quote. Find the exact moment in a TV show, movie, or music video you want to share. Easily move forward or backward to get to the perfect spot. It's available on the web and also on Android and iOS. I'm from Arizona, Jerry. I went to Arizona State. - That writes itself. - You got to be kidding me. was the best thing that ever happened to me. you come out to Malibu and say it to my face.